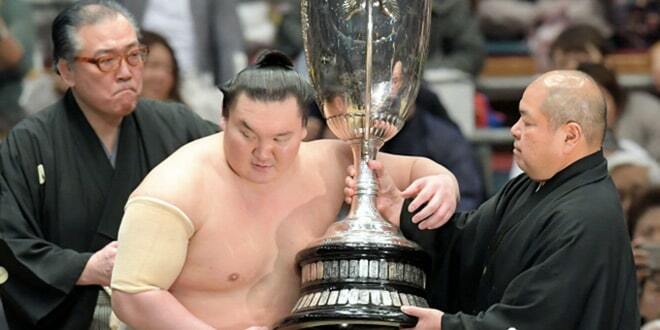 En battant le yokozuna Harumafuji, le maegashira 1 Kotoyuki remporte son premier kinboshi. 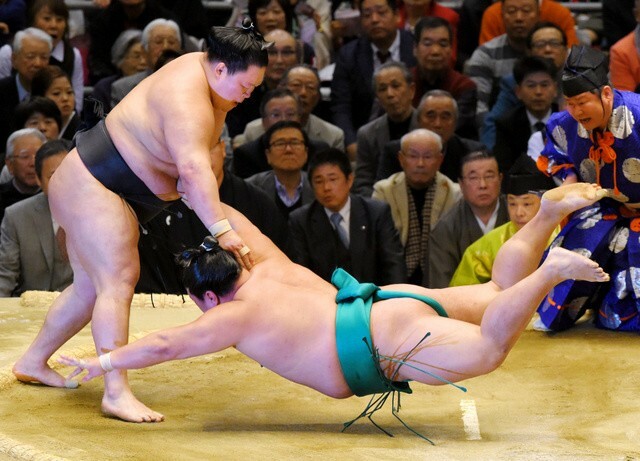 L’ôzeki Kotoshogiku conserve ses chances de promotion au rang de yokozuna en améliorant cet après midi son score à 3-0 lors de cette troisième journée du Haru basho 2016. 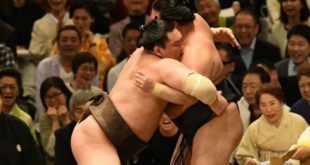 Face à un adversaire qu’il a régulièrement battu dans le passé, Kotoshogiku a eu besoin de deux reprises pour venir à bout du maegahsira 2 Tochinoshin sans jamais avoir été véritablement en danger. Alors que les trois yokozuna ont terminé la journée sur un score de 2-1, les quatre ôzeki restent invaincus. 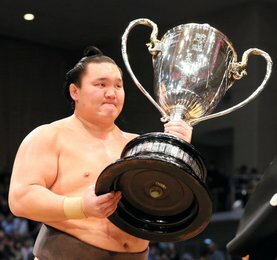 Le yokozuna Hakuho, le plus grand champion de tous les temps avec 35 titres en makuuchi, a rapidement trouvé une prise à la ceinture de Takayasu puis a sans difficulté sorti son adversaire de l’anneau. 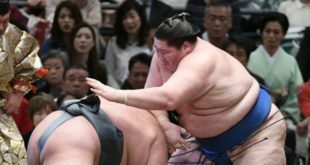 Le yokozuna Harumafuji a subi sa toute première défaite du tournoi face au maegashira 1 Kotoyuki. Avec ses 31 kilos supplémentaires, Kotoyuki a balayé le yokozuna en lui infligeant deux coups à la gorge avant de le sortir du cercle. Cette victoire permet à Kotoyuki de remporter le premier « kinboshi » de sa carrière. 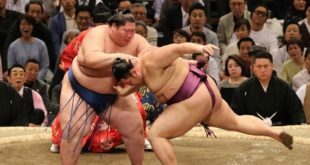 Le troisième yokozuna, Kakuryu, a du beaucoup manœuvré lors d’un combat exténuant de 45 secondes avant de pouvoir prendre le dessus sur Okinoumi. Le maegashira 2 repoussait sans cesse les nombreuses attaques du mongol mais a été vaincu par une projection. Kisenosato est resté invaincu en battant le sekiwake Toyonoshima pour la 30ème fois en 39 matchs. Bien que l’ôzeki était incapable d’obtenir une prise à la ceinture, Toyonoshima était également bloqué de son côté. 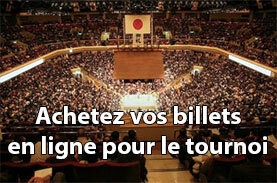 Finalement, Kisenosato a été en mesure de conduire son adversaire vers les ballots de paille. Terunofuji a maîtrisé le komusubi Tochiozan pour décrocher la troisième des huit victoires dont il a besoin pour conserver son statut. Goeido, également kadoban, a montré quelques difficultés face à Yoshikaze notamment au moment de la charge initiale. L’ôzeki a appuyé avec force vers le bas pour faire plonger son sekiwake à terre. 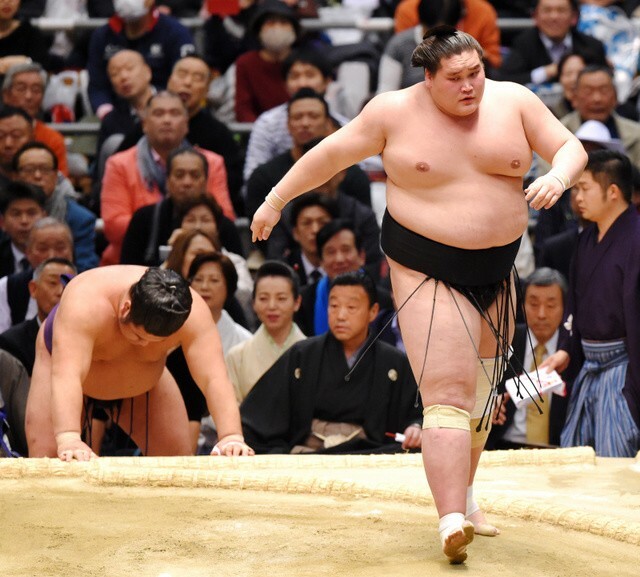 Ozeki Kotoshogiku, pursuing a second straight championship and promotion to yokozuna, improved to 3-0 on Tuesday, the third day of the Spring Grand Sumo Tournament. Against an opponent he had routinely beaten in the past, Kotoshogiku needed two tries to overcome No. 2 maegashira Tochinoshin but was never in danger of losing at Edion Arena Osaka, where all three yokozuna finished the day at 2-1 and all four ozeki wrestlers remained perfect in the 15-day meet. Kotoshogiku outmaneuvered his opponent on the tachiai and shoved him back to the straw. Tochinoshin dodged one bullet, slipping around the ozeki to mid-ring, but lost his footing when he was nearly thrown. From there, Kotoshogiku seized control and easily levered his man out to improve to 21-4 in their head-to-head matchups. Yokozuna Hakuho, sumo’s all-time leader with 35 grand tournament titles on his resume, surrendered a belt hold to Takayasu (0-3) but was in no trouble as he improved to 2-1 after an opening-day upset. Despite his nominal disadvantage, Hakuho plowed forward and drove the No. 1 maegashira from the ring with a minimum of fuss. Hakuho was joined at 2-1 by fellow Mongolian yokozuna Harumafuji, who could only offer an ineffectual slap against an opponent who outweighs him by 31 kilograms. 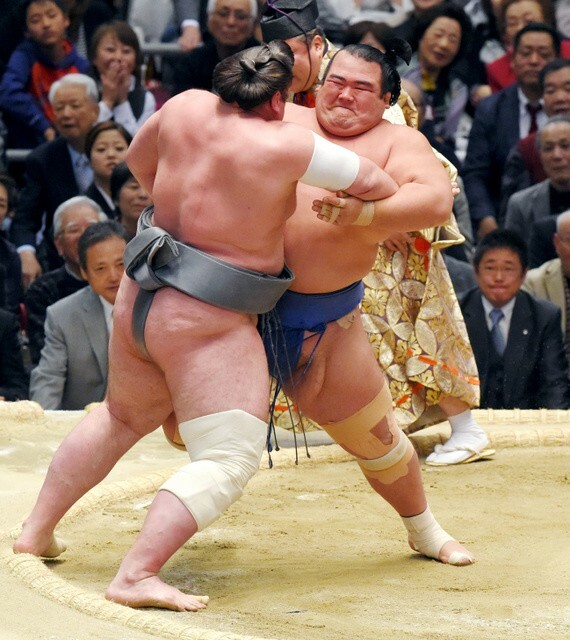 Kotoyuki (1-2), a top-ranked maegashira, brushed aside the slap and delivered two blows to the throat before shoving the yokozuna from the ring. « I can’t even remember the instant of winning — all I can say is that I was so happy, » said Kotoyuki of his first career « kinboshi » a victory by a rank-and-file wrestler over a grand champion. 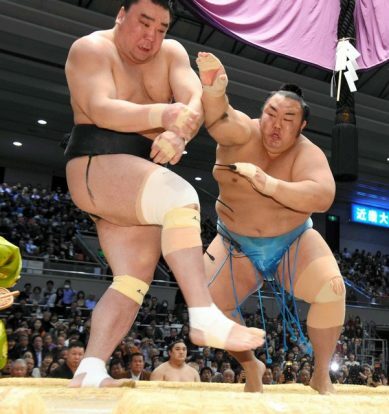 The third yokozuna, Kakuryu, followed Harumafuji to the raised ring and did well to avoid his compatriot’s fate. 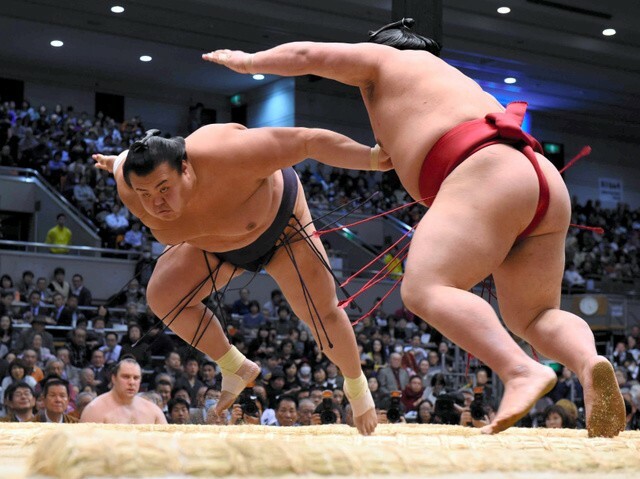 It took a grueling 45-second effort, but Kakuryu improved to 2-1 against upset-minded Okinoumi. The No. 2 maegashira fended off numerous attacks, but was worn down at the end and felled by an overarm throw. 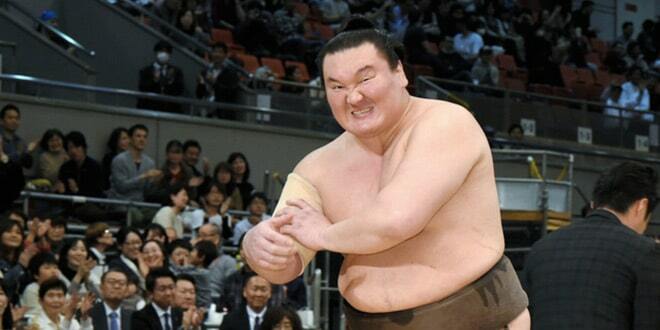 Kisenosato remained unbeaten by beating sekiwake Toyonoshima (1-2) for the 30th time in 39 career bouts. Although the ozeki was unable to get a belt hold, Toyonoshima could make no headway either and was eventually maneuvered over the straw. 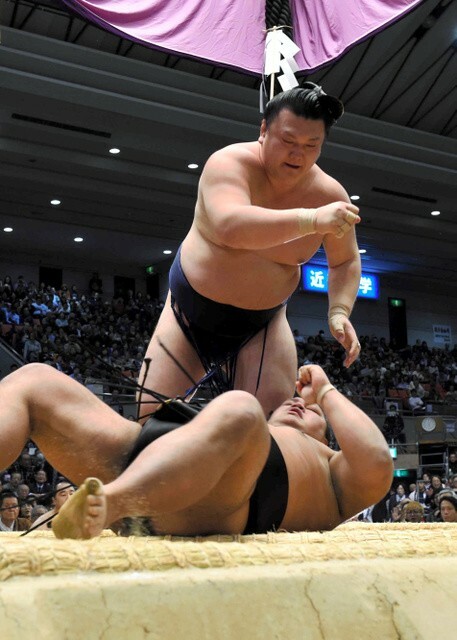 Mongolian ozeki Terunofuji overpowered komusubi Tochiozan to earn the third of the eight wins he needs here to retain his status in sumo’s second highest rank after a losing record in January. Goeido, the other « kadoban » ozeki facing demotion at this tournament, had zero trouble in his bout. Rocking sekiwake Yoshikaze (0-3) upward on the initial charge, Goeido, applied downward force and his man fell face first to the sandy surface.